Have you ever wondered producing electricity on your own and paying no bills for it? Seems impossible? Well, it is not! A startup named Thermos Energia has made your dream come true. It is a revolutionary device to produce electricity at one’s will or an emergency. So now you can produce your own required electricity at your home only!! The man behind this idea is Kamran Murad, a man who believes in learning and making an impact in the world we live in. He comes from a poor financial background and entered his college back in 2014. 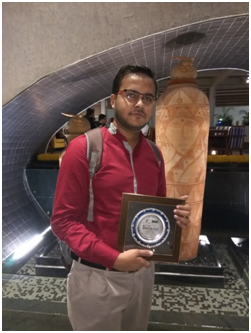 His entrepreneurial journey dates back to taking up a separate subject known as entrepreneurship skill development and with small projects like a river cleaner from waste plastic bottles and floppy drives, a segway from scrap wood, a drone fly, a pelton turbine, and a lathe machine from drills, every semester. Thermos Energia is a revolutionary device in the world of energy, where you get to produce your own electricity by just using the energy you waste while cooking, driving, or using machineries, i.e, heat energy. Now with this device, you can generate your own electricity, store it too in batteries, while you are busy cooking food. Even a candle, with the help of this device, during a power cut, in cities, can power up your phone, light up bulbs and can run small fans. It is basically a Peltier circuit-based device that used the temperature gradient to produce electricity. More the gradient, more the electricity produced. 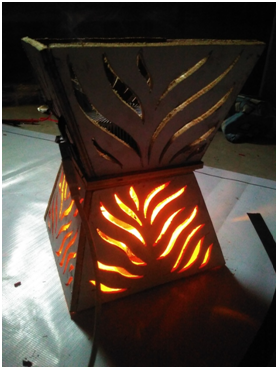 In the prototype so developed, heat source so used was a candle, which successfully produced 80°F temperature difference, creating a potential difference of 5volts in 6 minutes, which is more than enough for LED lighting and running small fans etc. 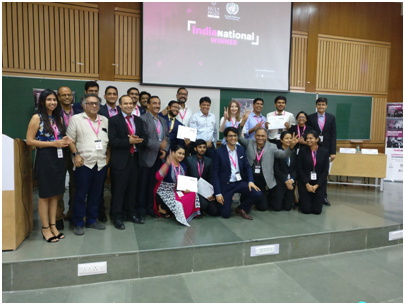 This startup got a breakthrough in September 2017, when participated in Indian Chamber of Commerce, Startup pad held in Kolkata, West Bengal and came out as winners of the event. The idea of converting waste heat from candles and brick kilns was highly appreciated. They were asked to develop prototypes, and products and were so eagerly waiting to do the same. Their vision is to make every individual realise that electricity can come to their house with zero additonal bills, no matter where you are, in desert, forests or in hills. They aim to make Thermos Energia- a necessary device in the emergency kit given to any relief places affected by natural calamities. Thermos Energia is no castle in the air ; it is already into a prototype, which is operating successfully. They have their market researches and surveys done and are in preliminary talks with prospective companies who can possibly buy and use it on their auto mobiles on a large scale. Previous Post Romantaque: A post hair removal cosmetic lotion ruling the markets of tier 2 cities! !